Now that the 4A-GE was in bits, I could really clean the various bits up. 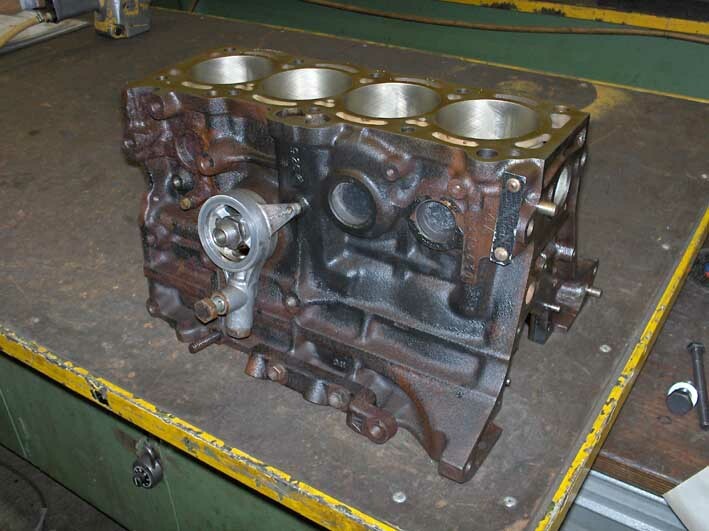 The cylinder head, the cylinder block and practically all the parts that had seen oil were now at the refurbishing company, so I wouldn't have to do much to clean them as they would be thoroughly degreased. 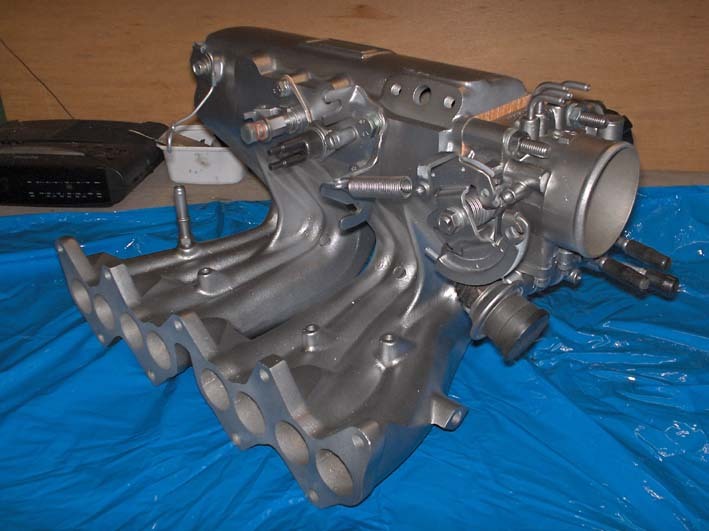 But I could take other engine parts with me to my work to clean them, sandblast them and give them a coat of paint if necessary. That already made them look so much better. All the parts that didn't need to be sandblasted were thoroughly taped off of course. 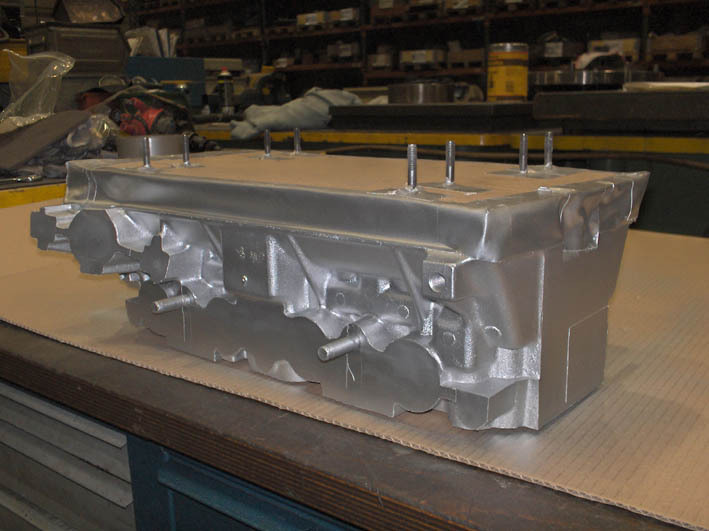 The valve covers are parts of the engine that really stand out in the engine bay when the hood is opened and are characteristic to the 4A-GE. So they got a little extra attention. After sandblasting, these were painted in a silver look and the embossed lettering on the covers were painted by hand. My engine has a big-port cylinder head, which is also known as a Blue-top, because the '16 valve' lettering was painted blue in the factory. To keep real to the original, I painted the lettering on the valve covers blue and black again. 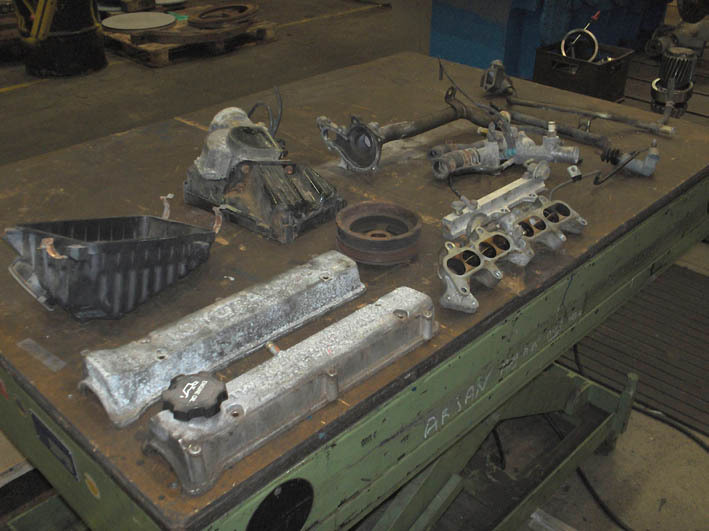 Meanwhile the refurbished engine parts came back again. 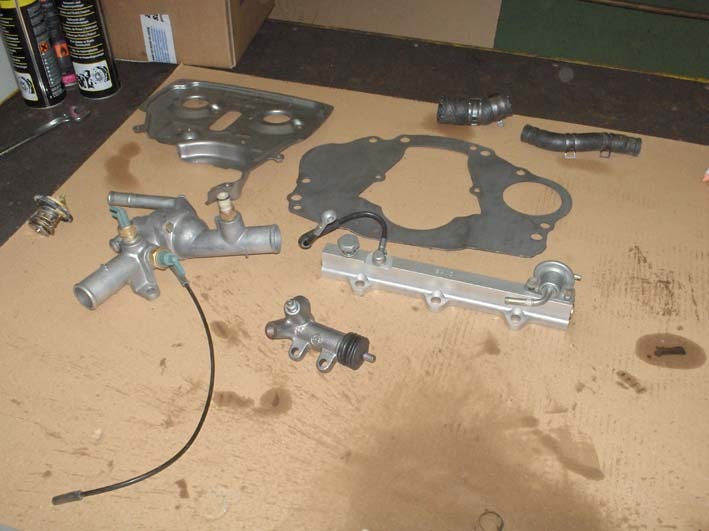 And although sandblasting freshly refurbished parts is a bit tricky, I just didn't want to put the parts back in the car again as they were now. 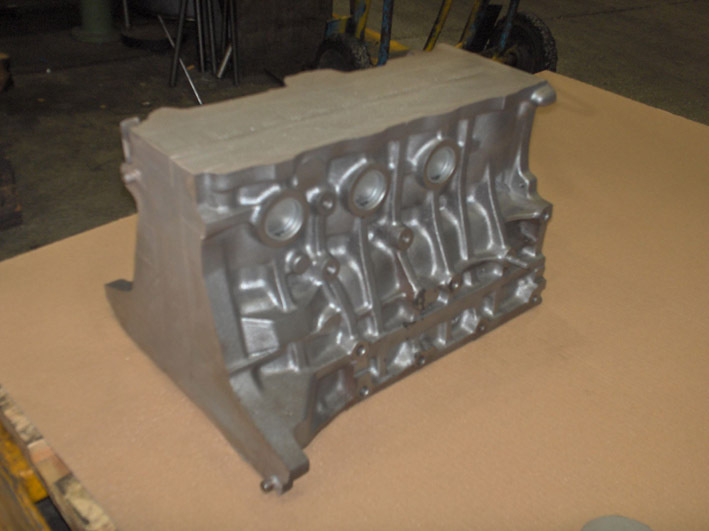 So I very carefully and rigorously masked off both the cylinder head and the cylinder block so the sandblasting medium wouldn't get to my freshly bored and honed cylinder walls etc. 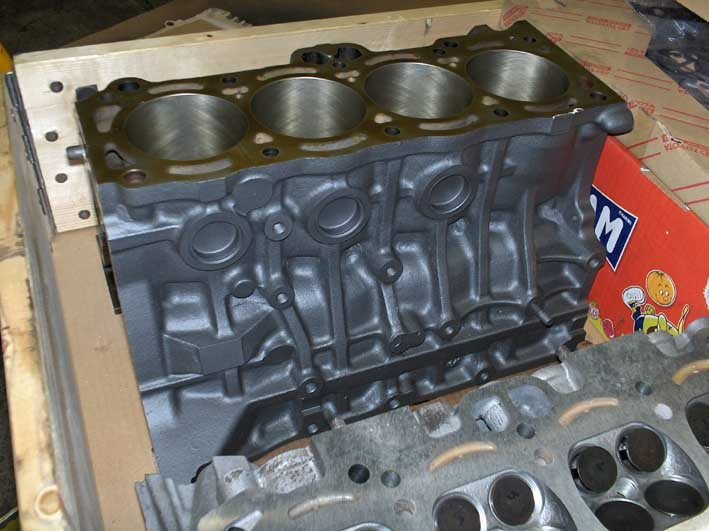 The cylinder block as it was before, masked off, sandblasted and finally, cleaned and with a new coat of paint. 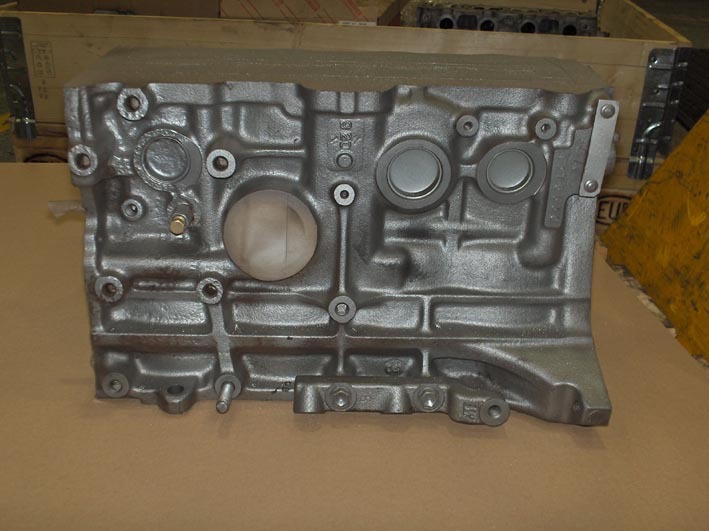 The cylinder head also got masked of, blasted and painted. 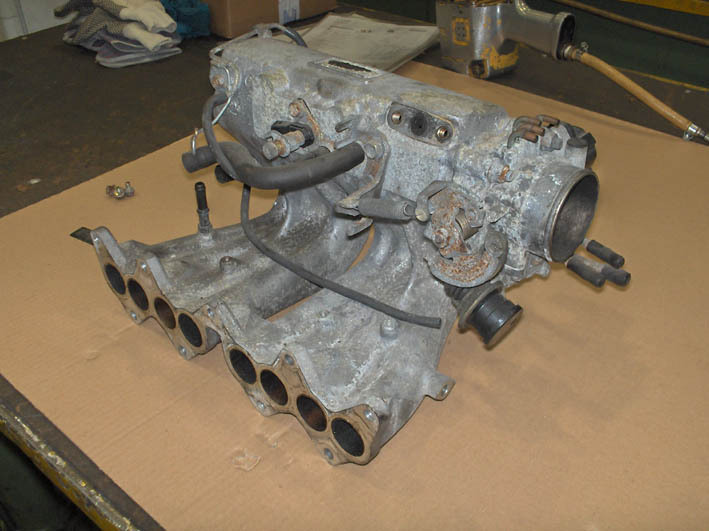 I also cleaned up the intake manifold. 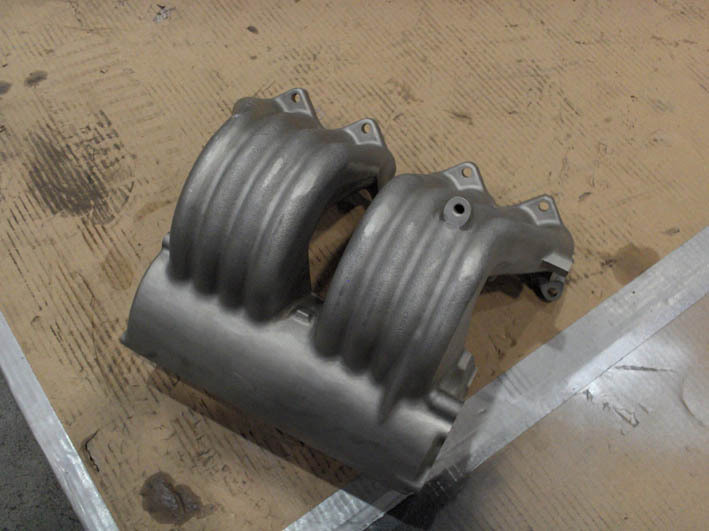 This had a rough surface finish, probably left over from the casting process when they were made. But I wanted a little smoother and nicer finish. But I had to dismantle it first so I could clean and sandblast it. And it was in desperate need of a good cleaning too. 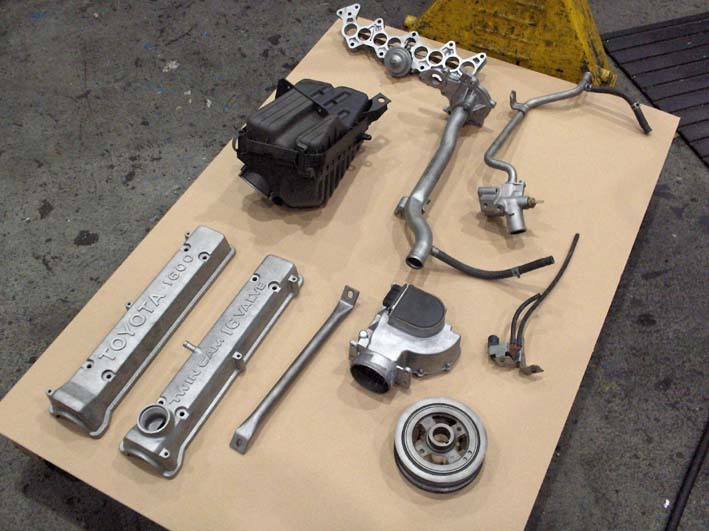 The engine of the Corolla had a EGR (Exhaust Gas Recirculation) system on it. 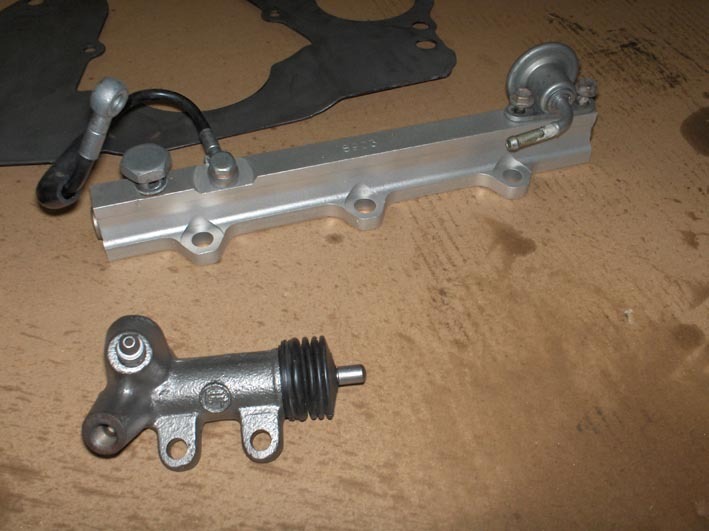 This redirects the exhaust gasses from the exhaust to the intake manifold to reduce the emissions of NOx gasses. But you just don't want those dirty exhaust gasses in your nice and clean intake manifold that should purely contain nice, clean and oxygen rich air. 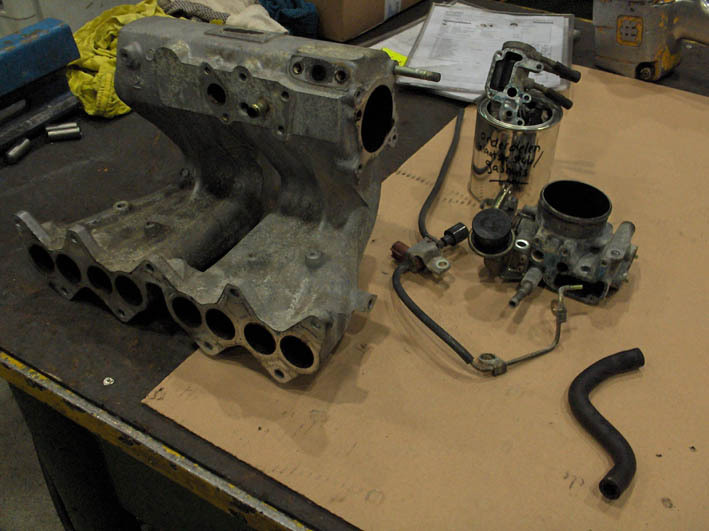 And on top of that, the carter ventilation is also directed to the intake manifold. So after more than 20 years, the intake manifold got completely gunked up with a thick, black layer of soot and oil residue. It took me quite some time and effort to get that off. 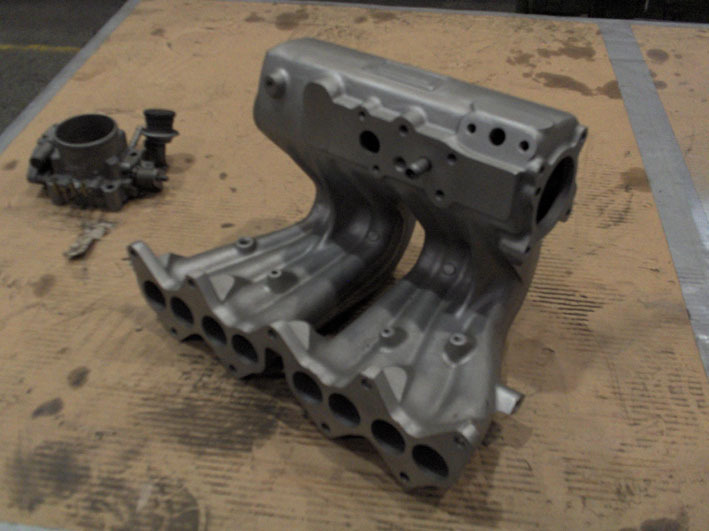 I then grinded away the roughness of the intake manifold to try and make it look a little smoother and cleaner. That's starting to look a little better. 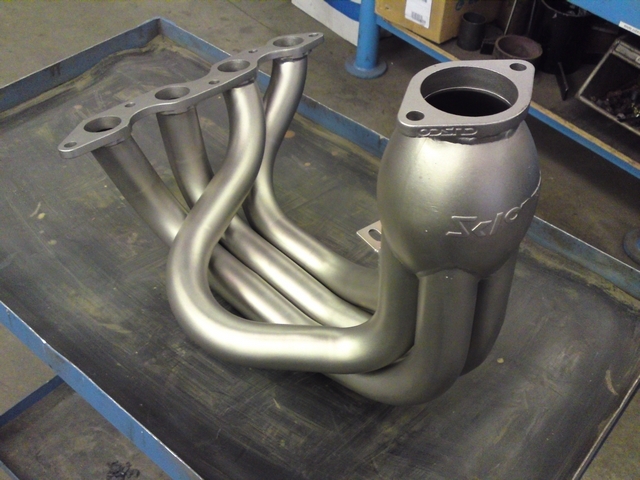 The exhaust manifold could do with a little sandblasting too. I wasn't going to use the original cast iron exhaust manifold anymore, but I managed to get my hands on a rare Cusco Powerball manifold and flew it in from the US. It's made from stainless steel and won't really rust. But after a few years of use and abuse, it wasn't looking it's best anymore. A little sandblasting with a mild glass bead medium would clean that up nicely and would make it look a whole lot better again. 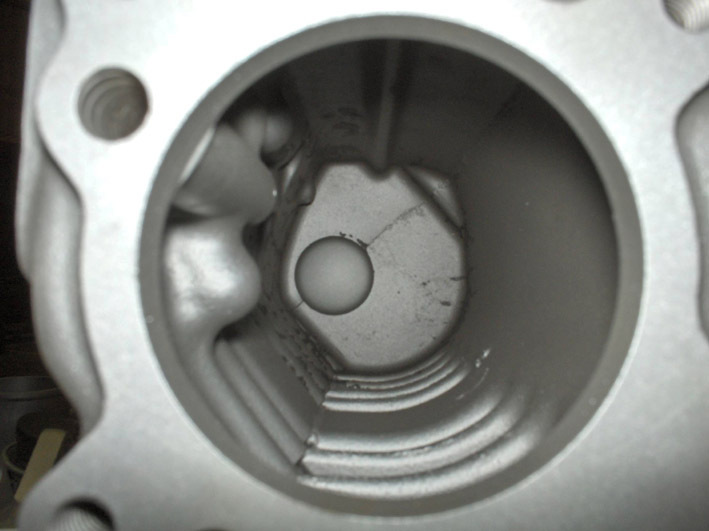 It would also clean up the inside of the pipes of the manifold and get all the soot out. All the engine parts were now cleaned up again. That would certainly make a big difference under the hood. But now the engine had to be put back together again. You can read about that on the other pages.